For many independent retailers, offering superior customer service is a differentiator against big-box competitors. But in the day-to-day bustle of running a business, it can be easy to take for granted that your business continues to deliver exceptional customer service. 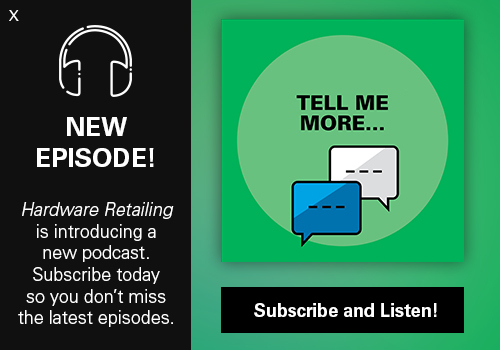 Retailers can’t afford to simply assume their customer service is stellar. According to the American Customer Satisfaction Index (ACSI), customer satisfaction is a leading indicator of a company’s financial performance. 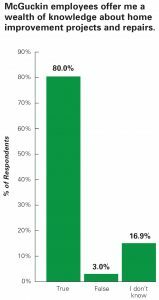 The organization finds that American households are more likely to buy from companies they perceive to have high levels of customer satisfaction. The ACSI Retail Report 2017 highlights the importance of providing good customer service, especially in times of increased online competition. “It’s very challenging for brick-and-mortar retailers to weather the online onslaught without also providing a superior in-store customer experience,” the report says. 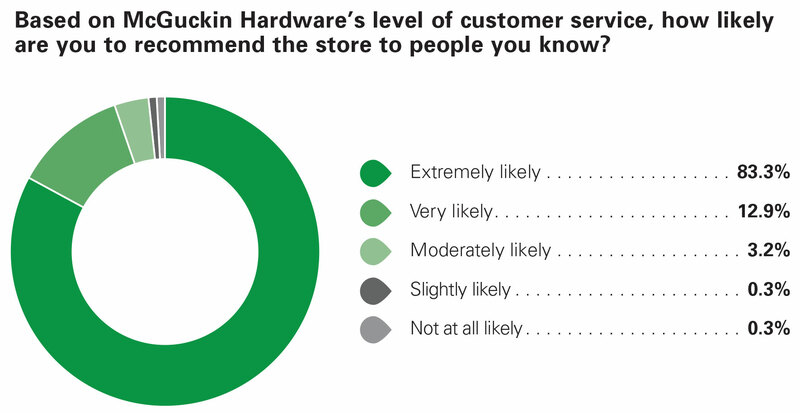 Hardware Retailing surveyed nearly 1,000 customers of McGuckin Hardware to compile a case study of which aspects of customer service are most important. Learn how the home improvement center in Boulder, Colorado, approaches customer service, and hear from McGuckin employees about how they put customers first every day. 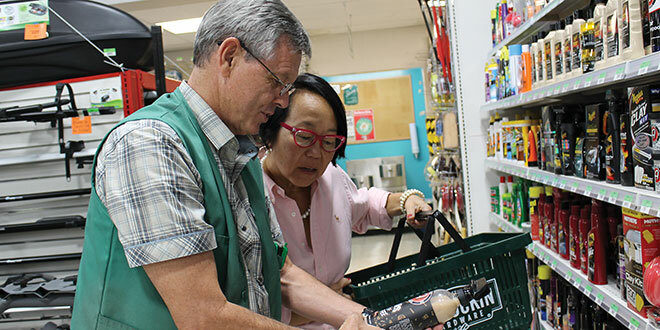 Canadian retailers Ian McNaughton, owner of Gravenhurst Home Hardware, and David Dishke, president of Grand River Home Hardware, also offer insight into how they approach customer service. Learn the steps they take to ensure new hires are performing to their expectations and how they handle customer interactions gone awry. Finally, get tips on how to improve your customer service from Bruce Temkin, managing partner of the Temkin Group, a national customer experience research, consulting and training firm focused on helping business owners transform and strengthen customer experiences. According to its customers, McGuckin Hardware, a 60,000-square-foot home improvement store in Boulder, Colorado, excels at customer service. Nearly 1,000 McGuckin customers participated in an online survey and gave their opinions on the store’s customer service. More than 97 percent of the survey respondents say the business delivers good or superior customer service. How can other retailers replicate this impressive level of customer satisfaction? At McGuckin, superior customer service involves hiring the right employees, giving employees frequent constructive feedback and finding creative ways to make the in-store experience memorable for shoppers. Barry Hight, president of McGuckin, says superior customer service begins with each hire. Hight says the McGuckin team favors applicants with previous retail experience, but also looks for extroverted people who are eager to interact with customers. Most new hires start as cashiers, which gives them a valuable overview of how different departments function. The McGuckin team also values open communication among employees. Whether an employee excels at their work or needs to put in extra effort, they say clear, constant communication is key. Another way McGuckin ensures customers have a positive experience in the store is by entertaining customers while they shop. The team is always on the lookout for unique ways to deliver unforgettable moments in its store—whether that’s hiring live musicians to perform Christmas carols around the holidays, or throwing a unicorn-themed party for younger customers. 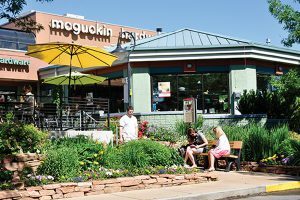 McGuckin also hosts in-store science experiments that pair children with students from the nearby University of Colorado. Garrels says the team aims to respond to customer comments, whether they come from online reviews or in-store comment cards. “By responding to each comment, especially online comments, we can ensure that customers receive the same level of customer service outside the store as they receive in the store,” she says. Hight says these customer comments are a direct path to improving the business and improving its level of customer service. One store improvement was motivated by comment cards. Many customers wanted to see the store upgrade lighting to reduce energy consumption. 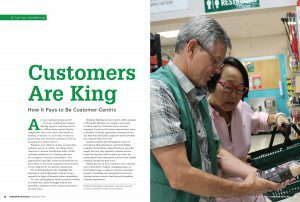 Nearly 1,000 McGuckin customers took a survey about the business’s customer service, providing many insights into what customers appreciate about the operation and what they value in the overall customer service experience. Top reasons customers say they choose to shop at McGuckin include the wide array of products, knowledgeable employees and friendly team members. All three of those reasons relate to customer service. To present a wide array of products, McGuckin listens to customer requests. The business began to stock a specific brand of power tools after numerous customers requested the line. Hight says the management team attends at least 10 trade shows annually, giving them an advanced look at products that can please their customers. The business also stocks sporting goods and housewares, which are categories McGuckin can build on by attending a variety of trade shows and events. Effective employee training is another key component to McGuckin’s customer service success, says Jason Hight, McGuckin’s assistant store manager and Barry Hight’s son. Garrels believes mentoring is also a critical part of onboarding new hires and ensuring they deliver superior service. “We’re known for the green vests that we wear, and our trainees don’t get to don a green vest until whoever is mentoring them believes they’re truly ready,” she says. To the McGuckin team, ensuring employees are knowledgeable and able to educate customers is a critical factor to achieving superior customer service. When an employee can correctly guide an employee through the steps of a project and recommend all the necessary materials to get it done, not only will the customer see your operation as a source of valuable information, they will likely also spend more. 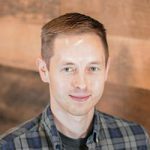 “When you have an employee who really delivers great customer service, they will guide the shopper in a way that helps them understand projects and increases your add-on sales,” Hight says. Garrels says the business’s strategy for delivering great customer service must always shift to remain potent. Millennials and Generation Z customers are steadily becoming bigger segments of McGuckin’s customer base, so the operation is changing the way the way it communicates online. McGuckin is active on all the major social media platforms, regularly posting media-rich updates about in-store events, special sales and important community announcements. Overall, Hight says, helping funnel employees toward their own areas of interest is a small thing managers can do to ensure employees are motivated to deliver superior customer service. “If you allow your employees to find their niche and really enjoy their job and what they sell, great things happen for customer service,” he says. 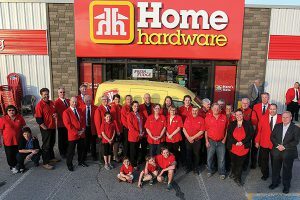 At Gravenhurst Home Hardware in Ontario, owner Ian McNaughton believes superior customer service is forged by building authentic relationships with customers, one interaction at a time. When hiring new employees, McNaughton says finding applicants who view delivering superior customer service as an important and rewarding part of their job is critical. “We can teach employees about our products and how the store operates, but unless someone is personally motivated to give great customer service, it might not happen,” he says. McNaughton is also using technology to empower employees to perform to their highest standard. Each employee is equipped with a two-way radio that keeps them in constant contact with their colleagues. “With the radios, each employee has the knowledge base of the entire staff, so the customer gets information they need through an employee who might still be learning,” he says. Recently, an employee delivered a fan to an older customer who wasn’t able to visit the store in person. McNaughton himself has repaired grills for customers who didn’t buy from his store. These instances were opportunities to exceed expectations. McNaughton also keeps his ears open to online chatter to help guide his business. “With social media, I think it’s paramount to listen to what people are saying. 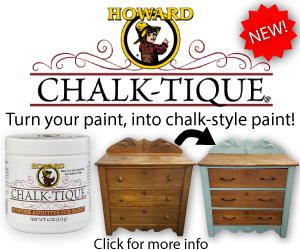 You have to search your store name and respond to show that you care,” he says. McNaughton implements frequent competitions to motivate his employees. In one initiative, employees can nominate one another for going above and beyond to help customers to win special prizes. 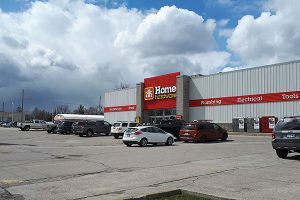 David Dishke, president of Grand River Home Hardware in Caledonia, Ontario, always has customer service on his mind. After opening his third location just months ago, Dishke took a hard look at his business’s customer service levels and what can be done to ensure each customer leaves totally satisfied. “To me, it comes down to the golden rule. My employees have to ask themselves how they would want to be treated if they were in a customer’s shoes,” he says. To help them view the store from a customer’s vantage point, Dishke encourages his managers to walk in the front door each day and take stock of what they see. If the entrance is cluttered, dirty or uninviting, he instructs managers to correct the problem as soon as possible. Dishke also trains staff to be flexible on sale prices. If a customer comes in looking for an item that his team knows will go on sale in a matter of days, he offers the customer the item at the soon-to-be lower price. For Dishke, it’s a down payment on a happy customer who’s likely to return. 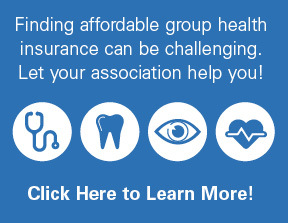 $10 per day to help cover expenses that might arise from customer error, even if it’s not his store’s fault. Earlier this year, a customer bought a can of paint from his business and loaded it into the backseat of a car. Soon after, the customer returned, upset that the can had toppled over and covered the car’s leather interior in fresh paint. After investigating, Dishke determined his staff wasn’t at fault, but he still had a sticky situation on his hands. Fortunately, the make-good funds were at the ready, and Dishke paid to have the customer’s car professionally cleaned and he replaced the can of paint. In the end, Dishke says he relies on a constant barometer to gauge his stores’ customer service: overall sales. “Your sales dictate how you’re doing with customer service. If sales are falling, something’s wrong. If your sales are strong, I’d say you’re doing your job,” he says. 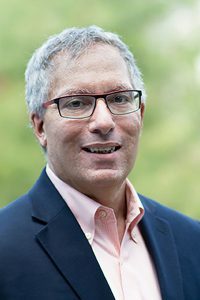 Bruce Temkin, managing partner with research firm the Temkin Group, leads the company’s research, consulting and training efforts. Temkin has offered expert insight on customer service experiences in articles from a variety of publications, including Forbes and Fortune. Hardware Retailing (HR): How can retailers instill a culture of customer service at their businesses? Bruce Temkin (BT): If business owners want a customer-centric culture, then they need to start by modeling the behavior that they’d like to see in other people. Employees need to see them spending time understanding what customers need and want and then making decisions that put the customer first. Once owners demonstrate a customer-first set of behaviors, then they should encourage employees to adopt the same attitude and actions. This means celebrating employees when they act in a customer-centric way and making it clear when they don’t. HR: How can independent retailers guarantee superior customer service? BT: It’s critical to understand what customers need and want. 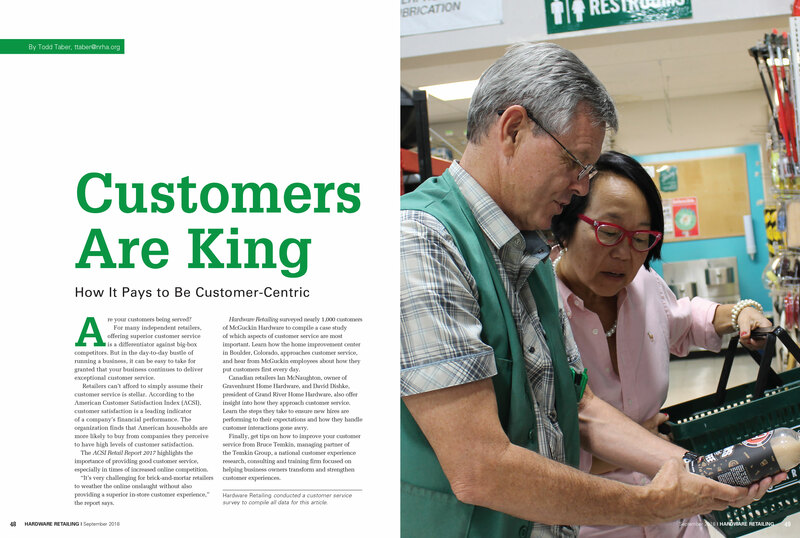 In hardware stores, customers often want help trying to complete different types of projects. It’s not good enough to point to a row or an aisle where products may be located. Employees need to ensure that customers leave the store empowered to complete the projects that drew them there in the first place. Make sure you have employees who have experience or have been trained in the key areas that your customers care about. Make sure employees understand how to deal with questions outside of their expertise. Even if an employee does not know the answer to a question, they should be able to connect with other employees and resources in the store to find an answer for a customer. HR: If a retailer knows they have poor customer service, what are some of the immediate steps they can take to improve? BT: Owners need to look at their own behaviors and ask themselves, “What am I doing that is creating an environment where employees are mistreating customers?” Then, leaders need to explain to all employees why customer experience is important to the success of the store and is therefore a critical component for the owner to be able to continue to offer good jobs for the employees. Whenever there’s a poor experience, we recommend following five steps that Temkin Group calls the CARES model. Communication to make sure the customer knows what’s happening; accountability to show you are committed to helping; responsiveness to be proactive in every aspect; empathy to demonstrate you care; and solution—make sure you do your best to fix the problem. HR: Is the customer always right? BT: The customer is not always right. That’s a misconception. But customers always deserve the benefit of the doubt and should be treated with respect even when they are wrong.